I don't know much about these figures,or the company that made them, HG Toys, but here's what I do know. 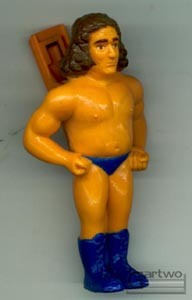 They made at least two small figures with clips on their backs: Hulk Hogan and Andre the Giant. 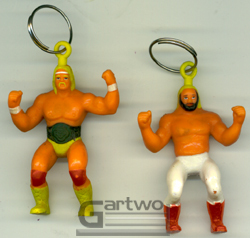 They also made at least two Zipper Clip figures of Hogan and Big John Studd. 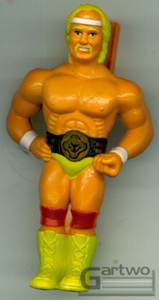 The Zipper clips are interesting because they are smaller replicas of the 8 inch LJN figures. These four items are the only figures i've ever seen that were made by HG Toys but, who knows, there may be more.